In Imp Kerr’s “Feasts Under the Bridge,” find and quote one sentence where Imp Kerr uses the word “troll” (or “trolling” or some other variant of this word) in a way that gives you a new understanding of this term. Introduce this quotation, paraphrase it in your own words, and explain how it gives you a new way of understanding what “trolling” is. Copy and paste into your response below an old blog post you wrote as well as feedback on it that you received. Below it, write a revised version of this blog post using the suggestions in the feedback. 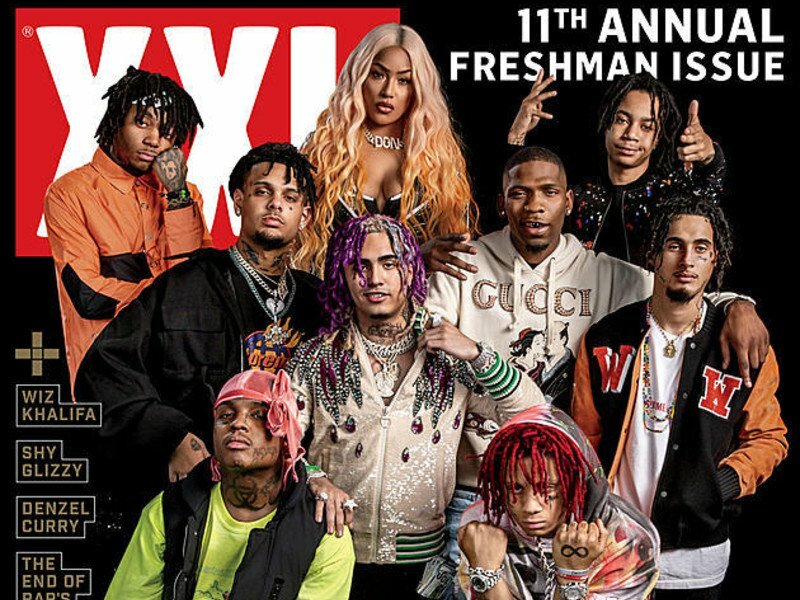 Is XXL Freshman list really the truth? 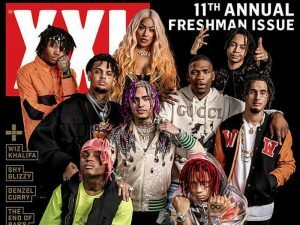 XXL releases its annual “Freshman Class” list. The issue features ten artists to watch out for, all of appearing on the cover of the magazine. The list has a history of showcasing underground rappers, as well as artists considered to be on the rise. BUT, Freshman list is now a money/fame hungry magazine. Recent years including this upcoming Freshman list (has not been revealed yet) are picking up artist that is famous but not talented at all. Freshman list is picking up artist that cause drama on social media and make themselves famous. This magazine is doing this just to get sales and to be talked about. The magazine got a lot of controversy because of this problem. Freshman magazine wasn’t like this before a few years ago, but now everything changed. People are hoping they give the credit to the artist that deserves it. Author mazharulmahdiPosted on April 8, 2019 April 10, 2019 Categories Media Analysis, UncategorizedLeave a comment on Is XXL Freshman list really the truth? 1. Building connections between words and texts. First, spend a few sentences explaining what the word “normcore” means. Ground your explanation in a quotation from K-Hole’s text “YOUTH MODE.” Second, explain what the word “surveillant anxiety” means when Kate Crawford uses it in her text, “The Anxieties of Big Data” (which starts on p. 46). Third, explain why you think Crawford discusses “normcore” on p. 48. What is the connection made here between data anxiety and the trend known as “normcore”? 2. Post article info (author, title, publication, link) for the new text your Essay 2 group has found and will be reading this week. HW: Read the first part of Kate Crawford’s “The Anxieties of Big Data” (pp. 46-48 in Packet 2). Work on finding new articles on your Essay 2 topic that you might read with your group and present on to the class. Working with your Essay 2 group, create a new Google Doc for your essay. Make sure to share the document with everyone in the group as well as with me (street.monroe@gmail.com). Once the Google Doc is created and shared, I want each of you to type a revised version of your midterm summary in the group’s document. Please paste a link your Google Doc below by Monday at 1p. HW: Finish reading Lovink’s “The Social Media Ideology.” Also read: Organizing Research and Research Notes (p. 9-10); Keyword Search (13). Quickly: a reminder to activate your ID/library card. You need an activated card to do research on Essay 2 from home/off-campus. …and the reading for Monday: Read Graf, “Yes, No, OK, but…” If you haven’t yet, read Griffiths’ and Martin’s texts that were assigned for this week. Also: continue revising Essay 1. Re-read the opening of Dawn Lundry Martin’s “When a Person Goes Missing” and respond briefly to the following reading response questions before moving on to the “Writing Prompt” below. –What is it exactly that makes this a “scene”? In the opening paragraphs, what are some of the images and actions that Martin shows us? –What does the essay as a whole seem to be about? How does its opening scene “show us” (and lead us into) what the essay is going to be about? What is the effect on you (as a reader) of Martin’s decision to begin the essay with a “scene”? Look back over your essay and think of a “scene” and/or image you could begin with. Start writing a new opening section (2+ paragraphs) of your essay, beginning with this scene/image. Developing Conflict/Enigma with key details & events. 2a. In my opinion main conflict is between Deirdre and the rest of friends and it is based on curiosity of the group how look legs after amputation part of it. Deirdre was was forced by pressure of the group to kiss the stump. Conflict is developing from conversation between friends about loudest sounds they heard. However, they don’t mention jet engine sound or siren like many people would say. They share with each other very private parts of their lives, and this is first the conflict, to open yours self with problems to other people. Second conflict came after change of subject to the most silent thing they ever heard and Chris story about leg. Conflict is in behavior of people, they didn’t ask how he feel with it, they just wanted to know how it looked like. I think he didn’t want to show them his leg so he made this demand to kiss his stump. Which lead us to the next conflict pressure of the group on Deirdre, to do this. Fist detail to create this situation was that they didn’t know each other so much, if they would be closer friend they probably would be more careful about other feelings. Second one was the strong feeling to know unknown, in this case how Chris leg looked like. 3. My first big internal conflict happened few year back at my firs semester of college. My major was geodesy, I had been thinking along time before college that this would be something that I would like to do in my life. However, after first half of semester I was starting to changing my mind. During the classes I got to know in details what geodesy is and I did not liked it. But I didn’t know what what to do. My parents gave me money for education, and I felt that I couldn’t disappoint them so I kept studying to the end of semester. During final exams I had enough. I had this thoughts that I couldn’t ruin my life and stuck with things that I don’t want to do. On the next weekend caught train to my home town. After arrived I had the most difficult conversation with my parents, but I had to tell them the truth. Author Kamil93Posted on March 4, 2019 March 6, 2019 Categories UncategorizedLeave a comment on Developing Conflict/Enigma with key details & events. For me this was a very interesting documentary. In my opinion it tells two stories. One about the man who wants to fight for his believes. The man who wants to change something in society, but in the same time he struggles with his personal problems. The other story is about how modern campaign works in the internet age. It is slightly refer to ma essay, where I try to show that in this days people are addicted from selfies, and social media, and because of that it is hard to keep privacy. Also in this documentary we can see that people are eager for sensation, and selfie or other photo can easily create one. After this scandal people forgot about what he wanted to change in the city and based their judgement on current emotions to the candidate. Computers area a small part of ourselves the portion devoted to logic, order, rule, and clarity. BLOG POST UPDATE: Enjoy the snow—no new writing due on the blog for Monday! Please take some time to make up any blog post assignments you haven’t yet completed (recall that this includes commenting each week on another student’s post in addition to writing your own) . Remember: I cannot pass you if you do not participate fully in the online component of the course. Each week of missed blog work counts as an “absence” and more than two of these jeopardizes a student’s final grade. As a courtesy, I am granting credit for any past blog posts you are able to complete by the end of this week. Going forward, we will follow the original policy and late blog posts will not receive full credit. In the mid 2000s internet was not a crowded place, people was meeting friends by sharing their passions, and goals. In internet you never know what kind of people like same things as you. In this days it is still suspicious to make friends in internet and popular social platforms won’t try to change this way of thinking. People are scared that somebody met on internet could hurt them, or use them for their own purposes. Explanation how Catfish show works, on example of Sunny and Jamison. Big surprise when Sunny and Jamison finally met in real life. The Catfish show is exemplify how people ignore signals that something is a lie and believe in it. The Catfish show reinforces people scare of internet friendship. Computer scientist J.C.R Licklider believed that internet would be place were people won’t be alone, because they would met people with the same goals and passions regardless from social class. In nowadays Facebook concentrates briefly on real interaction between people, and more on making money. Mark Zuckerberg is approaching Facebook to much from programmer point of view. Every form of interaction between people on Facebook could be presented in form of graph. In Facebook world there isn’t place for unknown and anonymity, and human interactions are decrease to minimum. Technology cant understand friendship, because it is create only on logic site of human brain. There were minor social networks, besides giants like Facebook and Myspace . 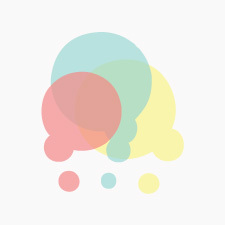 Makeoutclub might be first word’s social network. Makeoutclub gave opportunity for kids to expand heir identities. It was a place to share information about what’s new in the culture. Makeoutclub was a place to hook up, but in old fashion way by conversation, and with out control of programs. At Mateoutclub people were free in looking for new friends. Makeoutclub gave more freedom in terms of anonymity and identity. Advatage of being anonymous, could have one downside we can lost contact with person we really liked. People can also easier find each other, if they are using social network based on sharing passions. Out side Facebook still exist communities that allow to make new friendships base on what people like. If someone the same passions and goals internet friendship can be sustain. Makeoutclub still exists, and is resembling how past look like. Chen in passage “Don’t Be a Stranger” compare internet in mid 2000s and in nowadays in terms of social life. It shows that in general internet was more open space in which people wasn’t so scared to open them selves to other people. They made communities which share the same point of view. Internet was a place with less control of corporation. First, I want you to watch Kriegman and Steinberg’s Weiner (2016), a documentary on former NY congressman Anthony Weiner. Please remember to bring 2 print copies of Essay 1 to class. In addition, please submit your draft online as a Google Doc. A conflict that happened in my life was a dealing with a problem with my older sister. It was more like a conflict with my emotions, because a couple of years ago my older sister joined the navy. I was behind her all the way, but apart of me didn’t want her to go because it felt as though I was going to lose my best friend as well, we had a really close bond. I was at school one day and we were listening to the radio in the classroom and they were talking about the Navy Seals in the Navy and I automatically thought about my sister, 2 years had went by without no communication. I ran out the classroom with tears running down my face because I thought something happened to her. After a while, I was able to keep my emotions in hiding and I thought I was okay, but deep down I wasn’t because I was hurting but in the inside. Not only was I hurting in the inside, but I would lash out at my friends because my sister wasn’t here with me and I would always think the worst when I heard people talk about the Navy or the Army. Finally, fighting with emotions caught up with me when I saw an unknown number calling me, when I answered it was my sister alive and well on the other line. I couldn’t help myself but break down on the phone, happy that she was okay and returning home soon where she belonged. In the article “Don’t BE A Stranger” one of them most immediate conflicts you notice is that the author find people look down on internet friendship. This is partly due to the negative stigma attached to the internet’s person to person experience back in the days of myspace in the early 2000s. When the news was pledged by stories of sexual predators and murderers finding easy pray vea the internet/myspace. Later claiming that there are even worst methods of tricking people. Referring to CatFishing, with is the act of purposely lying to other pretending to be older or younger than they are and to be more sexully and finatually mor attractive than try really are in hope to get someone to spend money on them or meet them to get a shot at them they would normally otherwise not get. This leads to relasonships being seen as sacams because of this. With the world of socal networking exploding due to the rise of Facebook and a world where you can always be can be logged in all the time. As well as all the sexual online application. All this has servearlly damges the image of the internet to outsides however tivieal it may be. We the Animals is based on the book written by Justin Torres. The film surrounds three brothers. “Us three. Us brothers. Us kings.” The film is a sensitive portrayal of a toxic relationship. There is so much violence in the way the boys’ parents love each other. There is one scene in particular that boils over from the cycle of abuse, passed down from father to mother to brother to stranger. The youngest boy Jonah is struggling with his own conflict, as many growing adolescents do. Jonah sprints through the woods with a smile plastered on his face. He stops. Walks. Then runs some more. He climbs through his window avoiding his brothers. In his bedroom, he discovers his bed to be disheveled. So he searches for his secrets. His notebook has gone AWOL. He flings the sheets from his bed. A pillow is tossed into the air. A mattress flung. He looks in her eyes. His hands scratch and claw at Ma. His roars are heard, His anger felt. His father peels him off of his mother. His legs kick out from underneath his father’s hold. This scene was intense. It was intense because I could easily see how hurt Jonah was to have his sexuality on display. His thoughts things he kept hidden. The conflict is with the way he dealt with his anger. He knew no other way to express his anger. He learned this from his father: placing his anger upon someone else. I wonder how do others experience anger? How do you deal with it correctly? The enigma in this scene from this movie is that the women Allie went back to the house of the man who she fell in love with fist which was Noah but she doesn’t know why when she is engaged and is about to marry a rich man then she tells Noah that she has to go. When Noah says ” your bored and you know it, you wouldn’t be here if there wasn’t something missing”. She still leaves. It’s mysterious because we don’t know if Allie actually wants Noah back. The contradiction in this scene is when Noah says “so you make love to me and then you go back to your husband” . Allie says “they were irresponsible” meaning she has her fiancé waiting for her but if she has a fiancé and she loves her fiancé why is she with Noah. She says she knows the couple of days she spent with Noah happened but that they were irresponsible. The conflict in this movie is that Noah wants to be with Allie but Allie keeps thinking about what everyone else thinks is best for her instead of thinking about herself. –Use phones/PCs to find media (images, sound, etc.) to share on the blog. –Show how to post content using the “Media Analysis” category. —In addition to posting media, identify a contradiction, conflict, or enigma in this media and develop a series of discussion questions (2 or more) connecting to it. No “Yes-No” questions or questions you already know the answer to. –Write brief responses to that person’s post. Equally idiotic winds of third meaning blow through other recent celebrity selfies. Seventy-year-old Geraldo Rivera’s selfie shows him gazing at his own stomach muscles in a bathroom mirror , naked but for a low-slung towel. Selfies are considered a new genre of portraiture. In the article Art at Arms Length, Salz compares the quick wit of selfies to the precise nature of traditional portraits. It is clear that Salz interprets selfies as modern day portraits. A selfie is a casual form of intimacy that that is displayed through social media. It wasn’t created by artists. Yet, the impact is just as powerful. Modern day portraiture ranges from silly pouty faces to chilling expressions from the depths of horrid gas chambers. One part of this article that stuck out to me was when Salz mentioned the hole that 9/11 left. Curiosity got the best of me and I took a detour from the article. From this I stumbled upon a photograph of a woman named Marcy Borders aka the Dust Lady. Marcy was covered in the dust of one of the towers. Stan Honda captured this moment: the despair and the sheer shock. And, after hours of deep research into 9/11, I returned to Salz’s article. The taboo nature of that photograph is similar to John Quirke’s photograph in Auschwitz. It raises the same red flag that others gawk at. This is a hook because it grabs the readers attention. Salz does this by using the buzz word selfie. It’s a word many recognize and would stay to read more. This sentence explains what exactly a selfie is, how it’s used and where it’s found. Salz sets a foundation then builds on top of it with key details to explain the topic sentence.